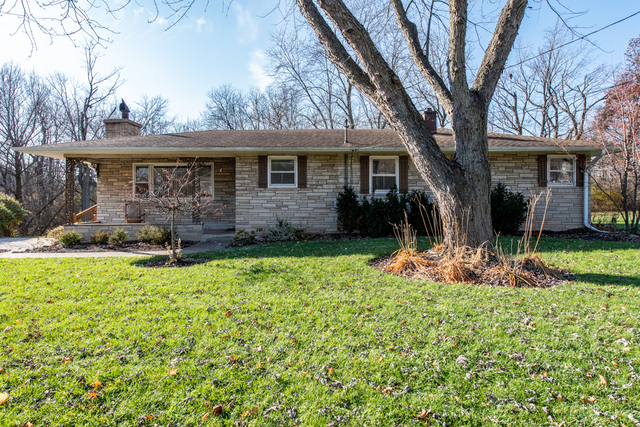 NESTLED NEXT TO RAVINE SITS THIS GORGEOUS RANCH w/Beautiful Stone Exterior! This is the Home in the Neighborhood you have been Looking for! Situated on over 1 acre, enjoy the Peaceful View of Woods and Ravine from your Large Deck! Covered Front Porch Welcomes you into this Spacious Home! Warm up in Front of the Flagstone Fireplace in the Large Living Room! Gleaming Hardwood floors are Featured Throughout the Home. Large Master Suite w/mostly Finished Private Full Bath...ready to be Finished with your personal touch! Two Additional roomy Bedrooms. Don't miss this opportunity! Partial Basement with Laundry and Storage! Beach Park Schools - and did I mention? RANCH!